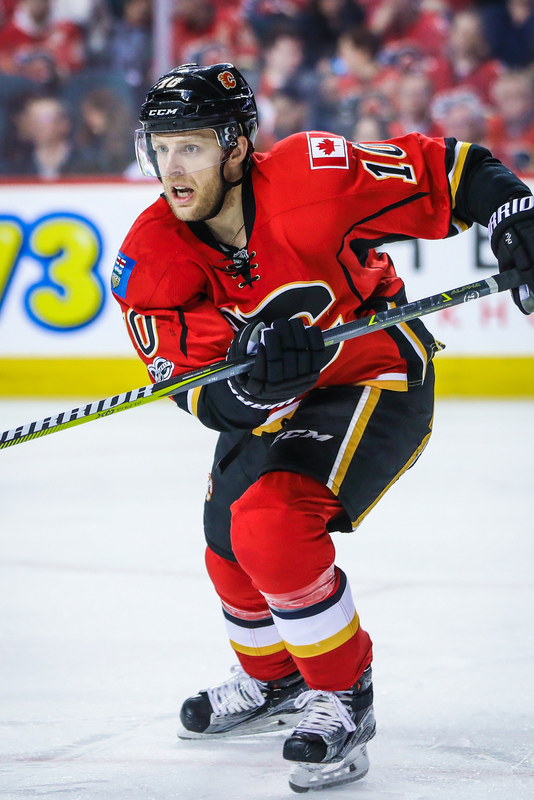 The hockey journey continues for journeyman Kris Versteeg, this time signing with the Vaxjo Lakers of the Swedish Hockey League. Versteeg had played 11 games for Avangard Omsk in the KHL this season, but will now finish out the year in Sweden. Versteeg, 32, has had one of the most interesting playing careers in recent memory, bouncing around the NHL on a yearly basis. Spending time in Chicago, Toronto, Philadelphia, Florida, Chicago (again), Carolina, Los Angeles and finally Calgary, he was without an NHL job this summer when he decided to take his talents overseas. Injury forced him out of North America, but perhaps there is a chance he could make a return next season. If the veteran forward can have a good showing in the SHL, there’s no reason to think he couldn’t at least be a depth option in the NHL if he’s willing to suit up in the minor leagues. Versteeg hasn’t played a game in the AHL since the 2007-08 season, but unless he finds a fit overseas it might be his only chance. In 643 games he scored 358 points and won the Stanley Cup twice with the Blackhawks. Long-time Montreal Canadiens defenseman Alexei Emelin agreed to terms this morning with Avangard Omsk, one day after the KHL team signed Kris Versteeg. The 32-year-old Emelin, who played six years in Montreal and then finished out his contract last year with the Nashville Predators, was having trouble finding work in the NHL, but opted to return to the KHL where he played parts of eight seasons. Emelin arrived in the NHL at age 25, but almost immediately stepped into the Canadiens’ top-four and averaged close to 20 minutes a night throughout most of his NHL career. However, Montreal opted to expose Emelin and his $4.1MM contract in the expansion draft last year and Vegas took the bait, selecting him and then flipping him to Nashville for a third-round pick in the 2019 draft. The Predators brought the veteran defenseman on board to provide top-four depth while Ryan Ellis sat out for the first three months of the season after undergoing knee surgery. Emelin did that, but saw his minutes decrease significantly once Ellis returned as he was forced into the team’s third-line pairing. Once a free agent, the 32-year-old struggled finding work as his lack of speed worked against him in a league where teams are looking to get faster. Emelin, however, showed he still has value as he managed to register 181 hits as well as blocking 109 shots last season, suggesting he should continue to fare well in the KHL. While Emelin will join Versteeg, he will also join up with two former Habs as well, including Alexander Perezhogin and David Desharnais. September 1: Versteeg has officially inked a one-year deal with Avangard Omsk, the KHL team announced (link in Russian). August 17: The market for veteran NHL players hasn’t really materialized, and several have found their way overseas already. Tommy Wingels and Lance Bouma both signed in Switzerland, Toby Enstrom is eyeing a return to Sweden and Paul Postma ended up in the KHL. Well, Postma looks like he’ll get some company in the Russia-based league, as Kris Versteeg is set to sign with Avangard Omsk of the KHL. Player agent Aljosa Pilko first reported that Versteeg was headed to the KHL, and Igor Eronko of Sport-Express passed on news that it will be Avangard that signs him. There has not yet been an official announcement, but this likely signals the end of any NHL dreams for Versteeg this season. If you looked up “journeyman” in the NHL dictionary, you might find a picture of Versteeg smiling back at you. After being drafted by the Boston Bruins in 2004, Versteeg would play for three AHL organizations before making his NHL debut with the Chicago Blackhawks in 2008. A few years and one Stanley Cup later, he’d find himself on the Toronto Maple Leafs and then Philadelphia Flyers during the 2010-11 season. Less than three years with the Florida Panthers and he was back with Chicago to win another Stanley Cup, before splitting the 2015-16 season between the Carolina Hurricanes and Los Angeles Kings. Finally, he settled in with the Edmonton Oilers on a professional tryout—before immediately signing with the Calgary Flames and playing there for the last two seasons. It’s not that Versteeg isn’t a good player and couldn’t find success at each stop, much the opposite. The versatile forward scored at least 0.41 points per game at each stop save the 14 games he played for the Kings, and leaves the NHL with 358 points in 643 games. That includes four 20-goal seasons, and generally positive possession statistics throughout his career. Unfortunately, injuries stole most of his 2017-18 season and now it looks as though it might be the end of the line in the NHL. Versteeg turned 32 in May, and might not get many more chances to play in North America unless he’s willing to take a minor league contract. Kris Versteeg has been a quietly productive secondary scorer in recent years but has had difficulty securing contracts on the open market for the most part. That happens to be the case again this time around as more than a month into free agency, he’s still looking for a deal. Interestingly enough, last summer was the lone time he was able to sign early, inking an extension to stay with Calgary. The one-year, $1.75MM deal seemed to make plenty of sense as he was coming off a season that saw him produce 15 goals and 22 assists in just 69 games in 2016-17. Unfortunately for Versteeg and the Flames, last season didn’t go quite as swimmingly. He picked up a respectable eight points through the first 22 games before suffering a hip injury. He underwent surgery which kept him out of the lineup until mid-March. After that, he got into two games and then was sat down for the remainder of the year as the hip problems continued. When healthy, Versteeg can help add some production from the middle six and he has been an effective player on the man advantage quite recently. However, questions about his health certainly isn’t helping his cause this offseason. There are a few scenarios that make sense for Versteeg. A contending team that’s tight to the salary cap may have interest in him as extra depth or injury insurance. It also helps that he’s eligible for a one-year deal with performance bonuses as he spent 104 days on IR last season and has over 400 games of NHL experience. Rebuilding teams may also have interest in him as a buffer player to allow a prospect some more time to develop in the minors before trying to flip Versteeg closer to the trade deadline. In the first group, the Penguins, Lightning, and Capitals fit as teams expected to contend that have limited cap space. Pittsburgh’s depth is at center and it’s likely that at least one of their bottom-six options will go to the wing so they may not be a great fit. Tampa and Washington have several cheap forwards rounding out their roster and a healthy Versteeg could represent an upgrade. As for rebuilding teams that could use him early and flip him later, the Senators and Rangers come to mind if they want some insurance for one of their youngsters (or even simply want some competition in training camp). Versteeg was ranked 47th on our Top 50 UFA list with a projected one-year, $1MM contract. There’s still a good chance he gets a deal around that mark although he may have to take some of that in the form of performance bonuses, likely games played related. A training camp PTO could be a reasonable outcome as well as teams may want to wait until they have a better idea if he has fully recovered from his hip troubles. Free agency is now a little less than a month away from opening up and there are quite a few prominent players set to hit the open market while many teams have key restricted free agents to re-sign. Here is a breakdown of Calgary’s free agent situation. 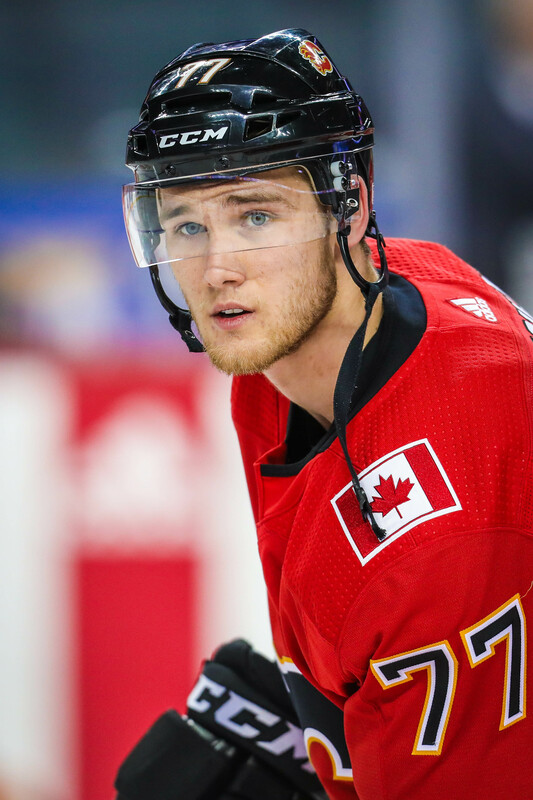 Key Restricted Free Agents: F Mark Jankowski – Heading into the 2017-18 season, there’s no question that fans were frustrated with waiting for Jankowski. He had just turned 23 and was more than five years from being drafted with just a single NHL game under his belt. Sure, he’d impressed in his first full season in the AHL but after waiting so long Flames fans wanted impact, and they wanted it now. After starting in the minor leagues once again he was given a chance with the NHL club and didn’t look back, recording 17 goals and 25 points in 72 games. Those numbers were inflated some by the four-goal game he had at the very end of the season, but regardless Jankowski has found a full-time roll on the club going forward. The question is how much is that role worth, as the first-round pick heads into free agency for the first time. With less than a full season of games under his belt there isn’t a ton of leverage from his side, but they may not want to lock him into a long-term deal before really showing what he’s capable of. It seems like a one or two-year bridge deal is in order here, limiting the risk on both sides. G Jon Gillies/David Rittich – The Flames have to make a decision on who their backup goaltender is going to be next season, and it might as well be one of Gillies or Rittich. Both were inconsistent when given the chance to help out at the NHL level, and have Tyler Parsons and other goaltending prospects chasing them down from behind. With Mike Smith set to come back as the starter, we’ll get a good indication of who will be behind him from the contracts that Gillies and Rittich receive. Both would become Group VI unrestricted free agents in the summer of 2019 if not given an NHL opportunity this year. Key Unrestricted Free Agents: F Kris Versteeg – The Flames lucked out when Versteeg decided to sign with them in the fall of 2016 despite being in training camp with the Edmonton Oilers, and were rewarded with a 37-point season. That earned the journeyman forward another contract for the most recent season worth $1.75MM, but he was unfortunately limited to just 24 games because of injury. Even if Versteeg were willing to come back for a reduced price, it’s not clear if the Flames have room for him any longer. With the emergence of young players like Jankowski, Hathaway and Curtis Lazar, there might not be any reason to re-sign the 32-year old winger. Still, depending on what happens this summer they may bring him back as a veteran option to fill out their top-nine and give them a little more secondary scoring, provided he’s healthy enough to contribute. F Matt Stajan – It’s amazing that Stajan is still just 34, despite seeming to have been in the league for two decades. The veteran pivot celebrated his 1,000th game in the NHL this season, but is clearly slowing down as he enters his mid-thirties. With just 12 points in 68 games, Stajan put up the worst offensive numbers of his career and saw the ice for fewer than 11 minutes a night. Though he’s still a positive veteran presence on a team that needs a bounce-back season, there likely isn’t much room on the roster going forward. Whether Stajan gets another shot elsewhere in the NHL is still very much in doubt. Unfortunately he’s just slightly too young to qualify for a contract that includes performance bonuses, meaning he’ll likely be looking at offers near the league minimum. If that’s acceptable, perhaps he continues his career as a part-time fourth-line center for a contender. If it’s the end, he’ll have a long successful career to look back on even if he didn’t get to the playoffs very often. Projected Cap Space: The Flames project to have around $17MM in cap space this summer, depending on where the upper limit lands, and without any premiere restricted free agents could go after some big fish on the free agent market. 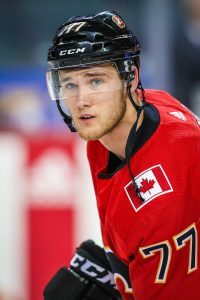 They do have to worry about extensions for Sam Bennett and Matthew Tkachuk past this season, but still should have some room to play with if they want to add. It wouldn’t be surprising to see the team let all of their unrestricted free agents go, as none of them figure to be long-term contributors to the Flames success. Even if they do sign some of the minor ones, the biggest impact this summer will likely come through trade or big ticket shopping. Calgary struggled this season and doesn’t have a pick in the first three rounds of the upcoming draft. Things have to change, and they have to change fast for them to see any success in the near future.